This same year, Peace, Love & Planet sponsored a recycle center field trip for 800 FPS 6th graders! In October, we hosted our first PLP Student Summit to share the best practices in how to address environmental issues, empowering young teens to take action. Students rotated through a series of hands-on workshops that addressed various environmental issues. The event concluded with group action planning and s’mores by the campfire. Way to go, students! Also in 2014, we garnered the support of the Farmington/Farmington Hills Foundation for Youth and Family to offer $400 Go Green Grants for student-led environmental initiatives. 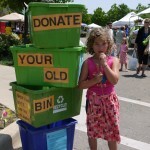 Donate old bins to Farmington schools! In 2012, Farmington residents received new “single stream” recycling carts. Recognizing a lack in student recycling participation, PLP capitalized on the opportunity and partnered with Farmington Public Schools. We asked community members to donate old green recycle bins to the district; and, that fall, distributed 800 recycle bins throughout the district. By creating consistency between buildings utilizing a familiar bin, the district experienced a 20% spike in recycling participation. Kudos for FPS! Kids take to the street to show support for our Earth. 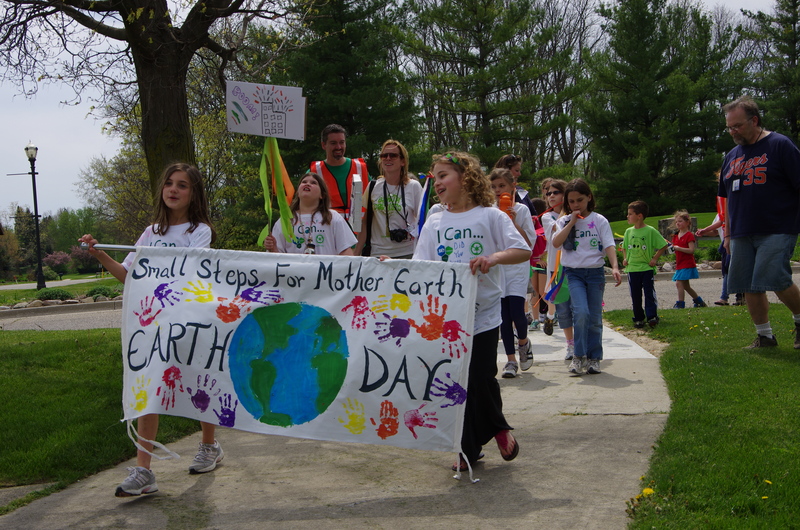 Over 100 parents and children gathered April 20th, 2012 for the first annual Earth Day Walk to show support for Farmington Public School Green Teams and to celebrate Mother Earth! Organized by the collaborative efforts of Peace, Love & Planet, FPS, Heritage Park and Farmington City Hall. Families met at Heritage park, made a pledge on “I Can” T-shirts, made pom poms, played games and then walked to City Hall, collecting trash along the way. PLP, with the help of a few volunteers, collected over 500 signatures in 2011, garnering resident support for curbside recycling expansion. 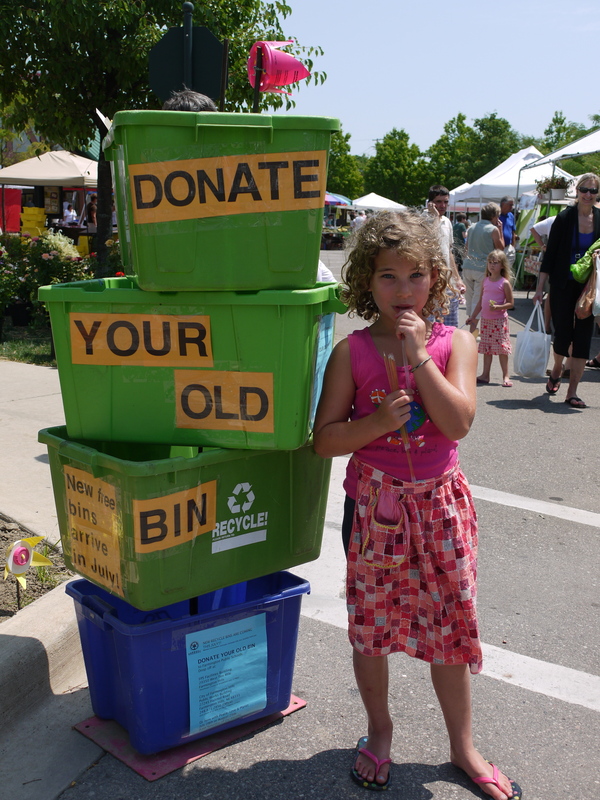 Our voices were heard, and the local recycle center RRRASOC announced they will expand curbside plastic collection to include ALL PLASTIC including garden and #5 containers in 2012! This is a huge win for all residents, and especially the planet! Thank you, PLP volunteers! Gina was honored for being selected as Terracycle’s 2010 “Make a Difference Mom” contest. 2011 Gill Elementary selected for the “Find your Footprint” National Geographic contest. Video produced by Gina Adams-Levy and Gill Green Team. Watch Video Now! From 2008-2011, Peace, Love & Planet along with lots of help from volunteers, interns, friends and family, have recovered over 38,000 lbs. of garden plastic destined for landfill. 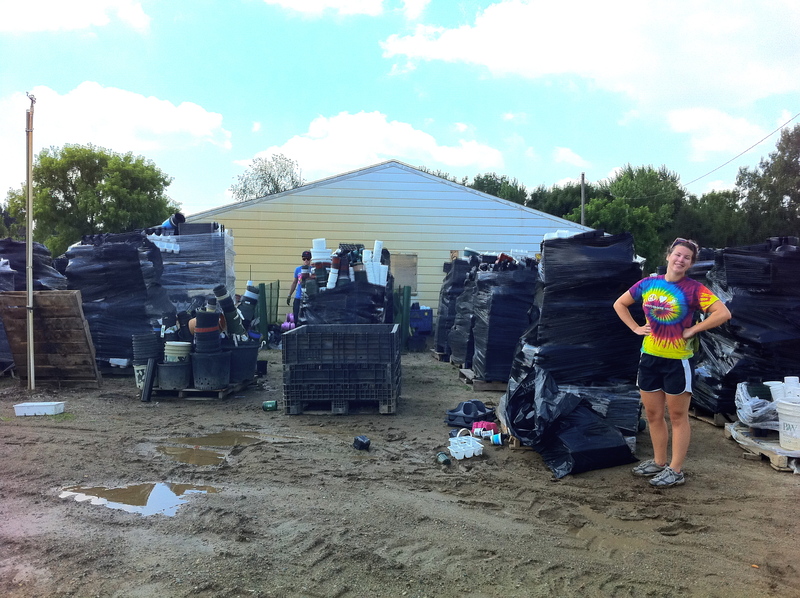 Instead, this plastic was ground up and recycled into new garden plastic containers by East Jordan Plastics.